One of the first headlines on CNBC.com after Monday’s closing bell read: Stocks gain 300 points, but why? 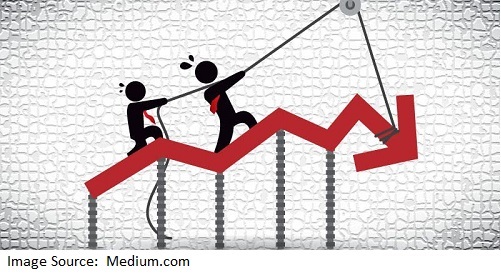 The article implied that markets can’t seem to decide whether rising rates are good or bad. 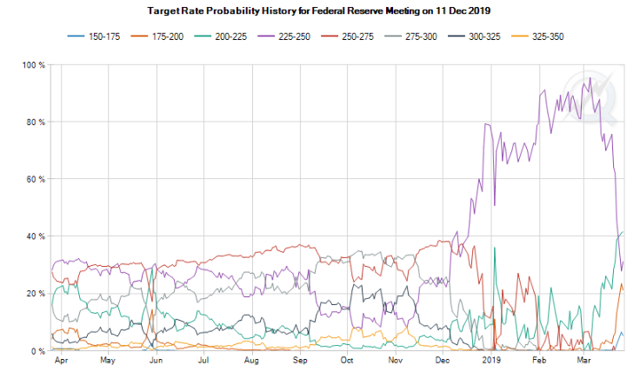 The author opined that just a couple months ago, stocks would have quaked at the idea of rates rising because the increasing costs of servicing debt would likely choke growth. But now stocks are rallying at the same rates are rising. The obvious question in the article was, what gives? From my seat, the answer is simple – the author is focusing on the wrong issue. 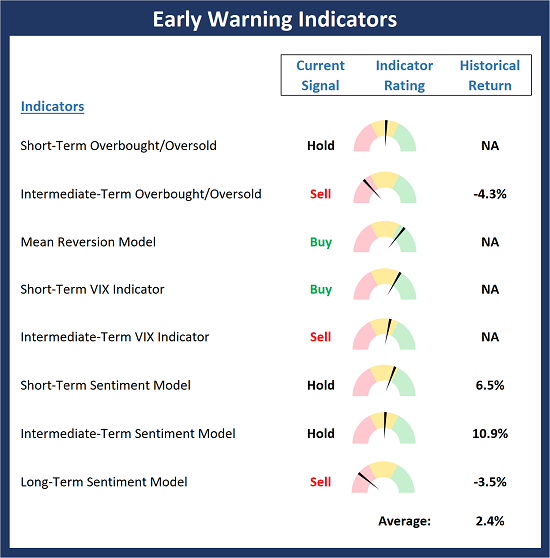 This week, we’re featuring the Early Warning Indicators Board, which is designed to indicate when the stars become aligned for the market to “go the other way” — for a trade. Our take is the Early Warning board continues to wave a yellow flag. However, our mean reversion model flashed a buy signal last week and the bears have been unable to get anything going this year. Thus, we will have to continue to give the edge to the bulls at this stage of the game. We recently noted that following the harsh Q4 sell-off, many traders have been trading on tilt so far this year. More specifically, they’ve been allowing their psychological disposition to override their objective trade setups and decisions. 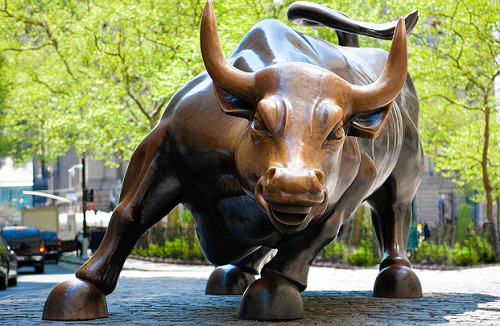 For example, a lot of traders have not participated fully in this year’s rebound because they were anticipating another sell-off based on their psychological biases. area of support and is an indication that the uptrend off the December lows is intact. The next significant test for this large-cap stock index will be the 2018 highs. Since the market close on March 18th, the S&P is virtually unchanged. 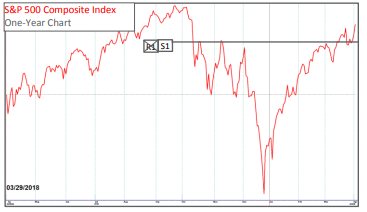 We have had some back and forth during that time frame but the index continues to hover around the significant resistance marked above. We have had a brief false break-out and a brief false break-down over the last 2 weeks. “Follow the Money” is the first principle of FSA’s investment approach. 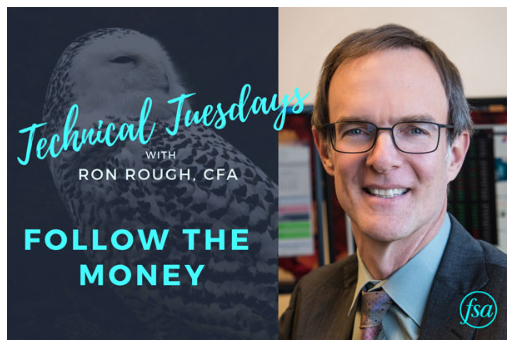 In this week’s episode of #TechnicalTuesdays, Ron Rough, FSA’s Director of Portfolio Management, explains what “Follow the Money” means and how FSA uses the concept to manage our clients’ portfolios. The Q1 rally appears to be weakening. 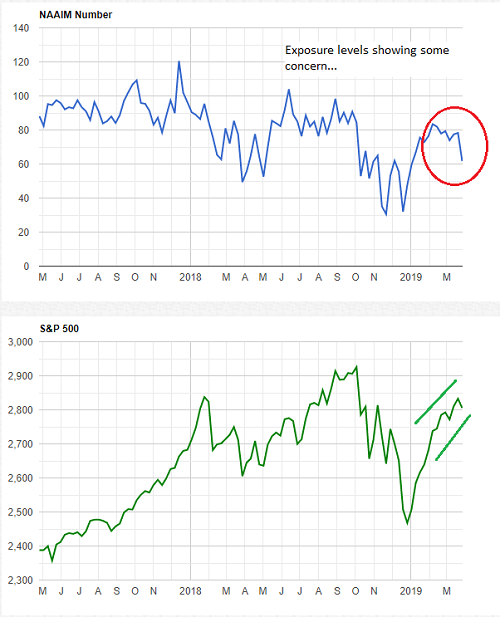 Last month’s letter suggested we were at an inflection point that could either take us to new highs, or send us back down to the lows we saw in December. 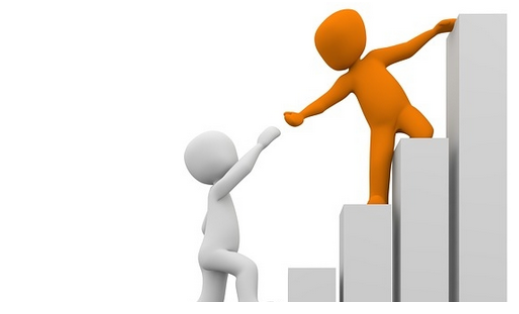 Our thoughts last month leaned slightly towards seeing new highs. 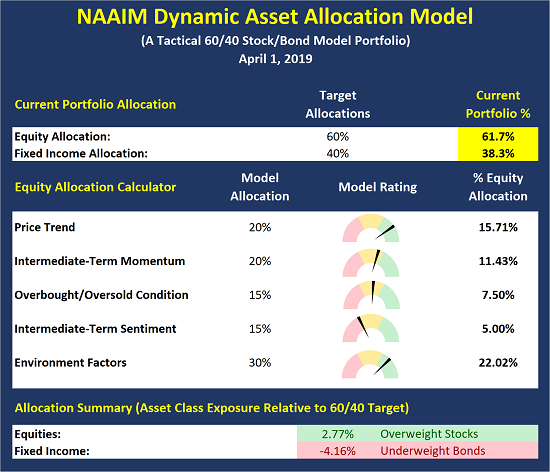 Now, after a month of what we view as weakening internals, we might lean slightly towards seeing the market going down a little bit from here.